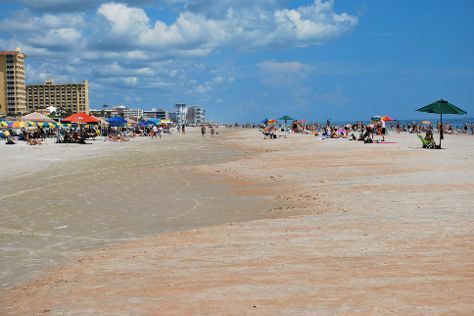 Explore hidden gems such as Beach at Daytona Beach and Ponce de Leon Inlet Lighthouse & Museum. Get out of town with these interesting Orlando side-trips: Daytona Beach (Our Lady of Lourdes Catholic Church, Daytona International Speedway, & more), Ormond Beach (Andy Romano Beachfront Park, St. Brendan Catholic Church, & more) and Crystal River (Stand-Up Paddleboarding & Scuba & Snorkeling). And it doesn't end there: cast your line with a fishing tour, take in panoramic vistas at ICON Orlando, take in nature's colorful creations at Bok Tower Gardens, and admire the striking features of Stetson Mansion. Take the guesswork out of planning a Orlando vacation by using our trip itinerary maker. If you are flying in from Luxembourg, the closest major airports are Orlando International Airport, Orlando Sanford International Airport and Daytona Beach International Airport. In August, plan for daily highs up to 39°C, and evening lows to 28°C. Finish your sightseeing early on the 2nd (Mon) to allow enough time to travel back home.